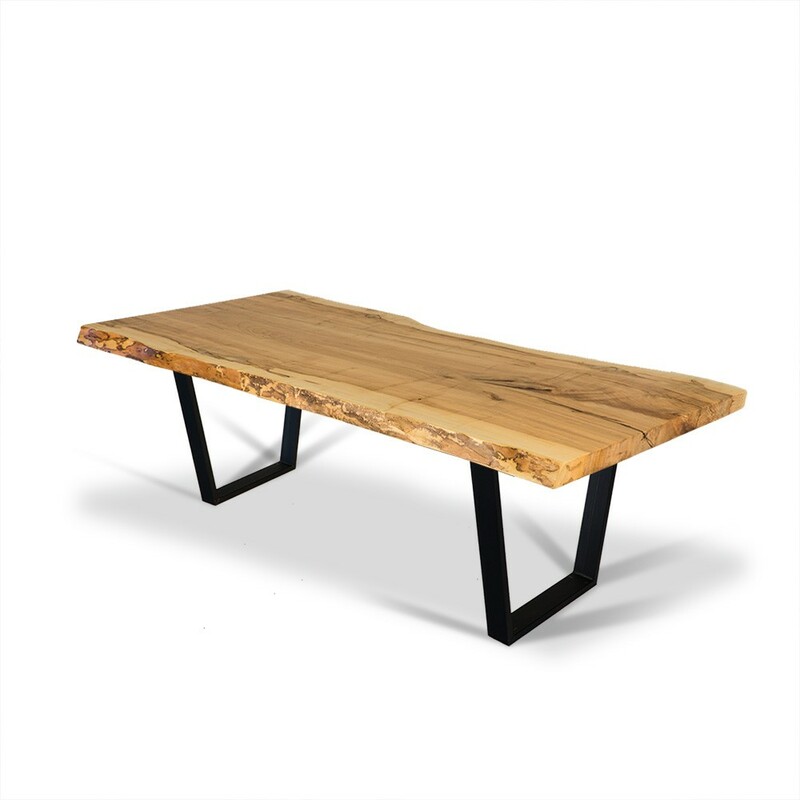 Although these stunning bases were designed to pair with gorgeous live edge slabs, they're perfect for nearly any table top. 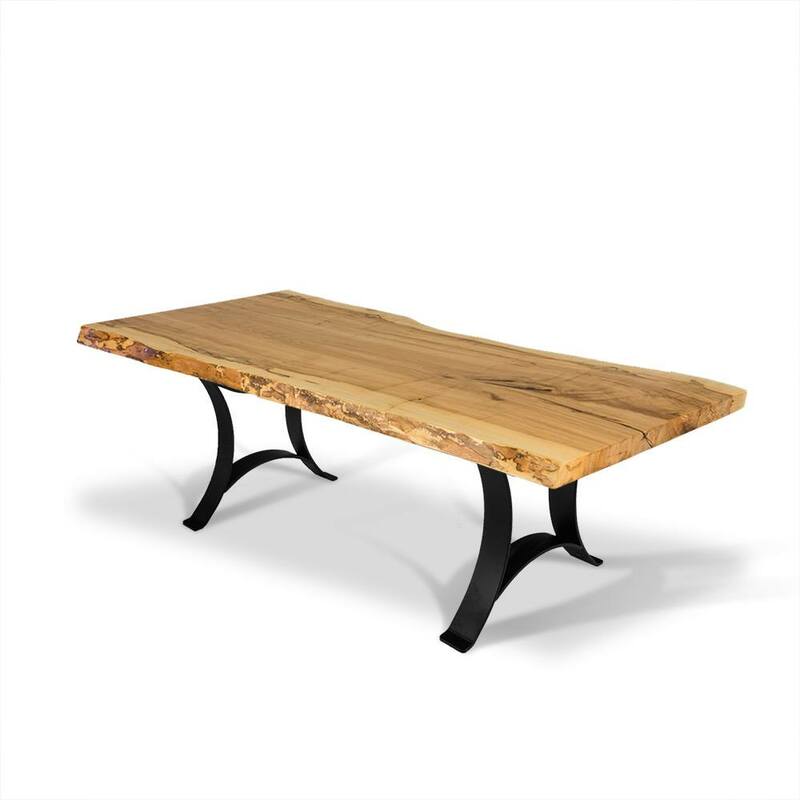 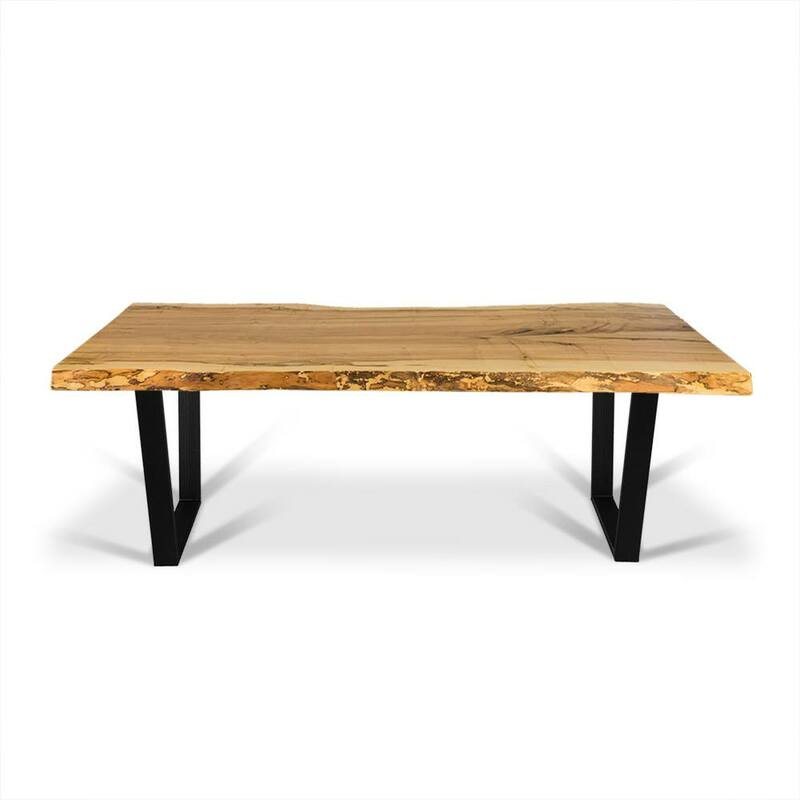 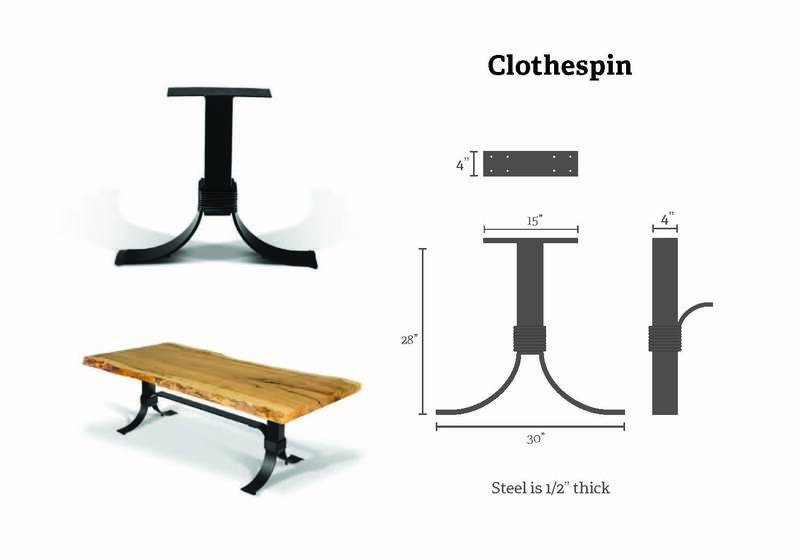 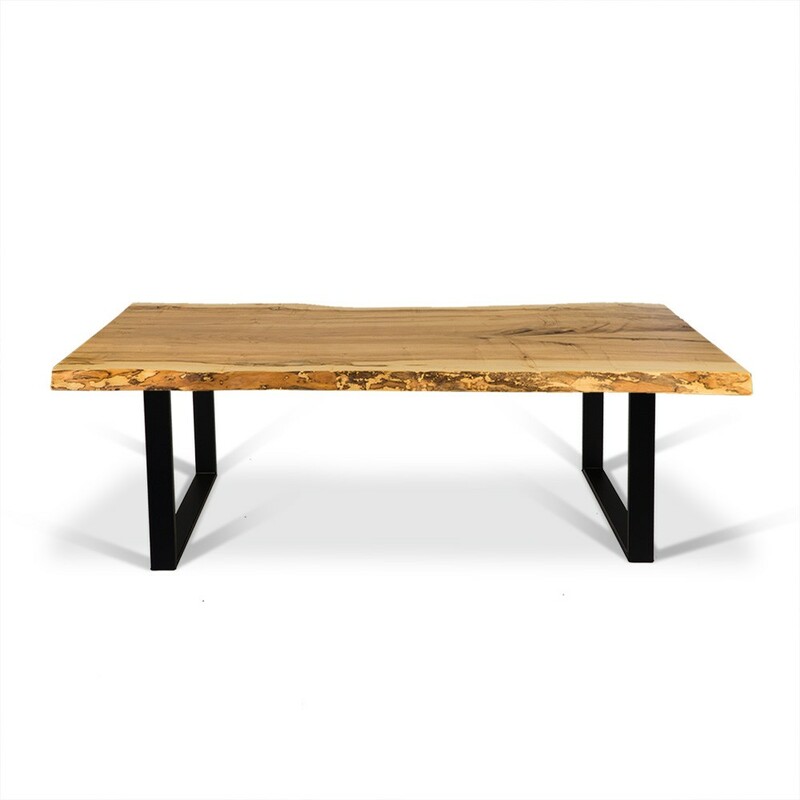 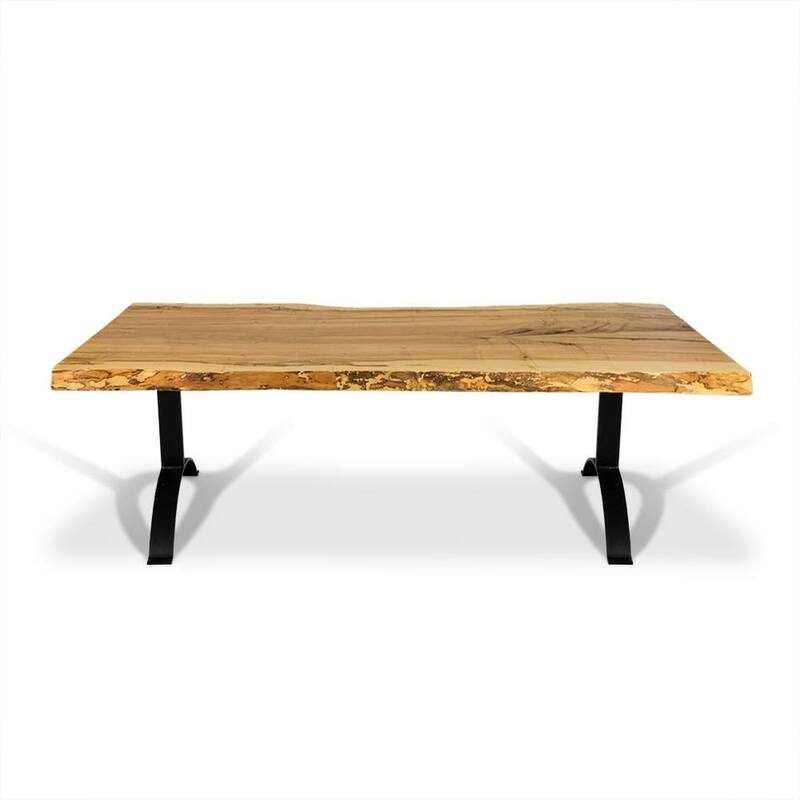 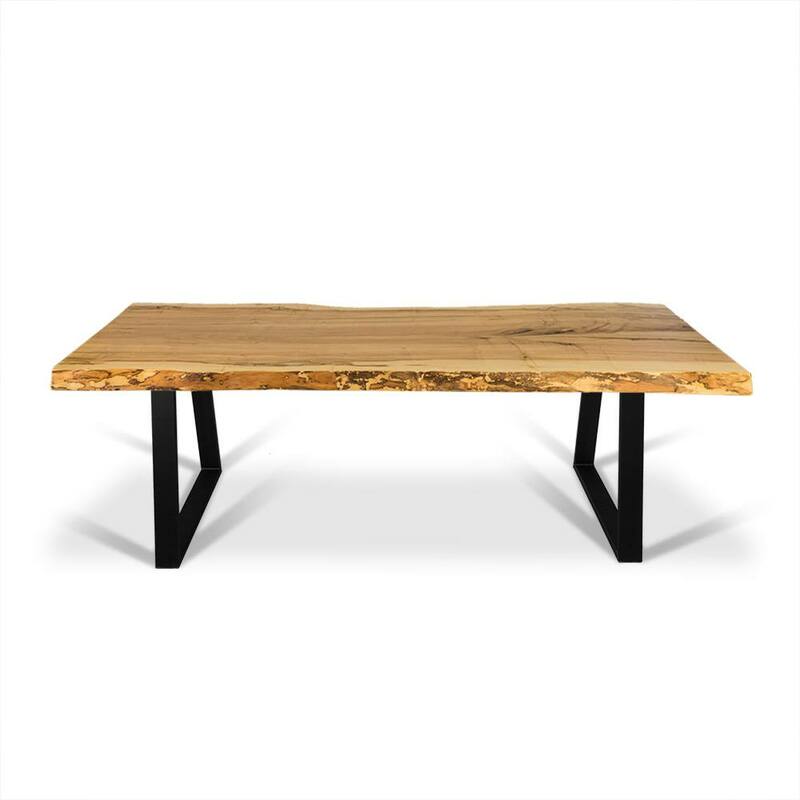 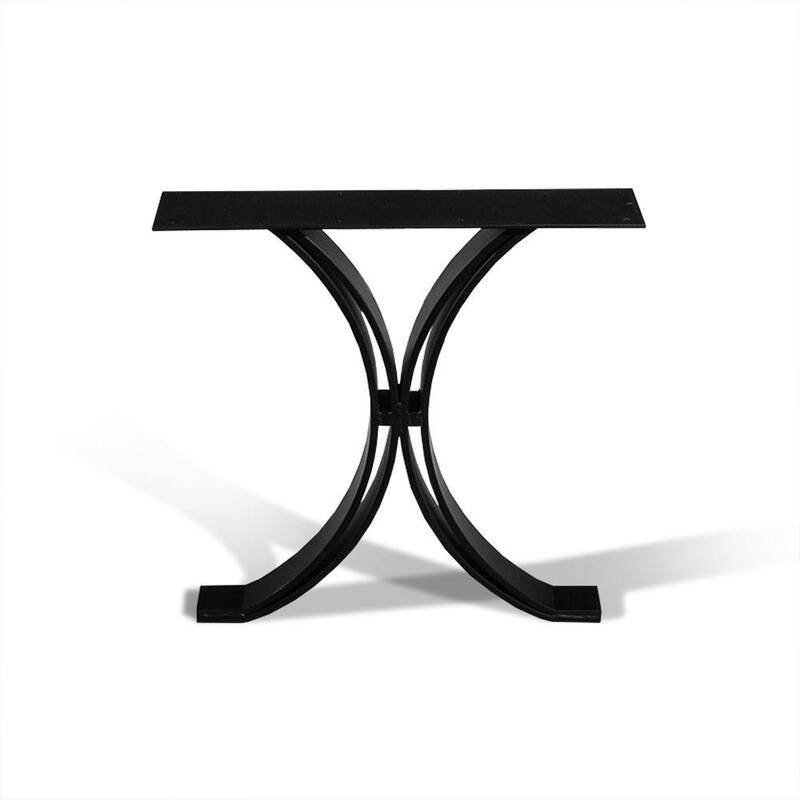 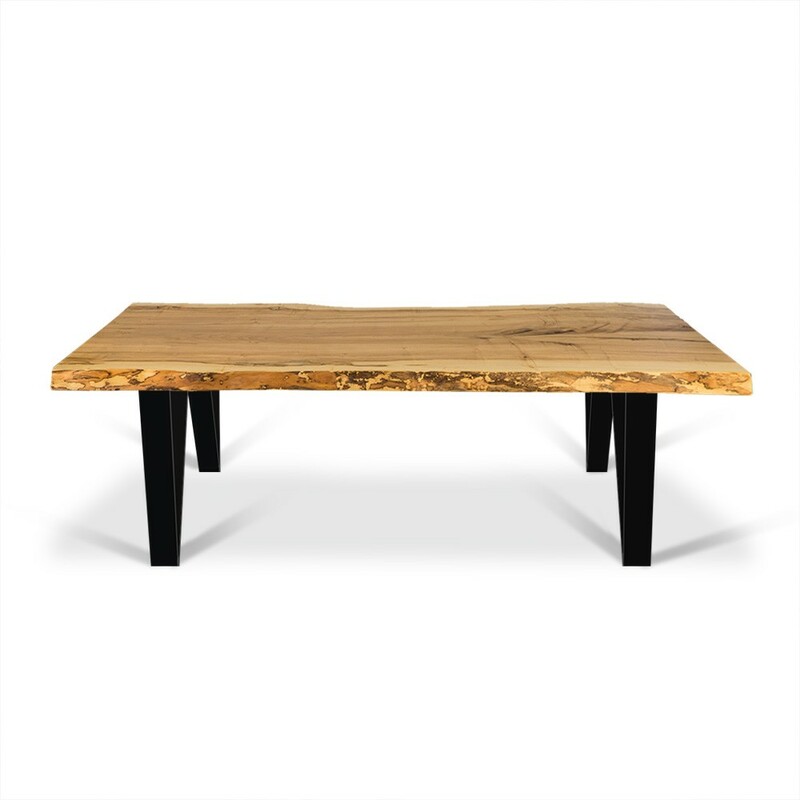 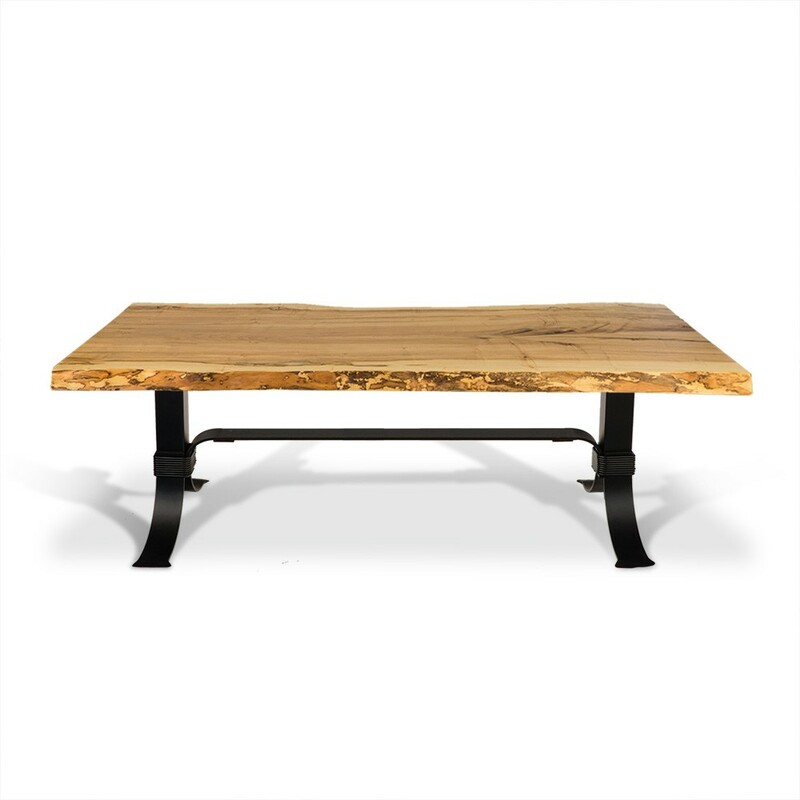 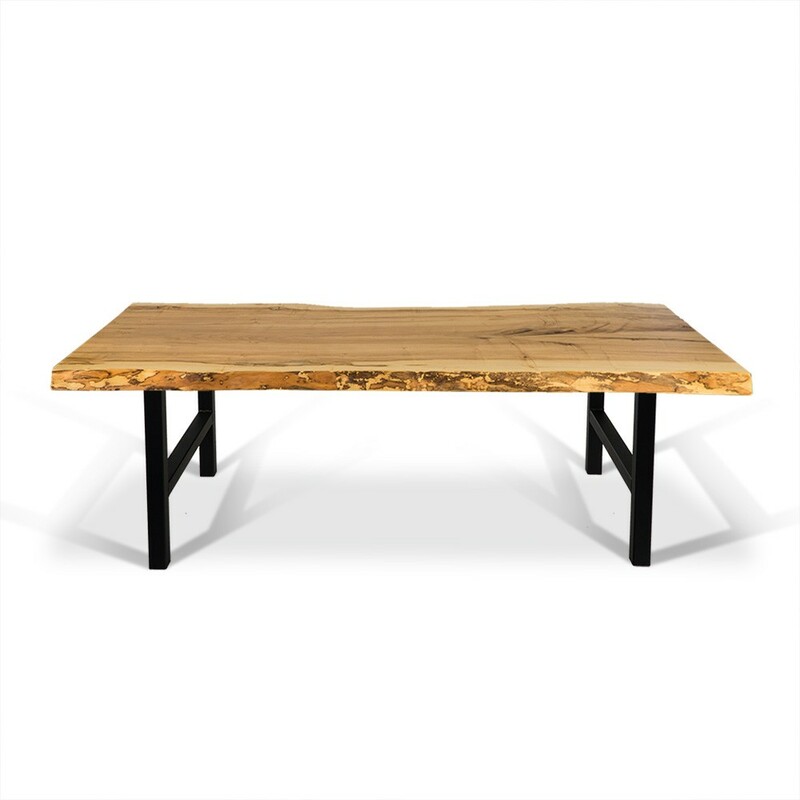 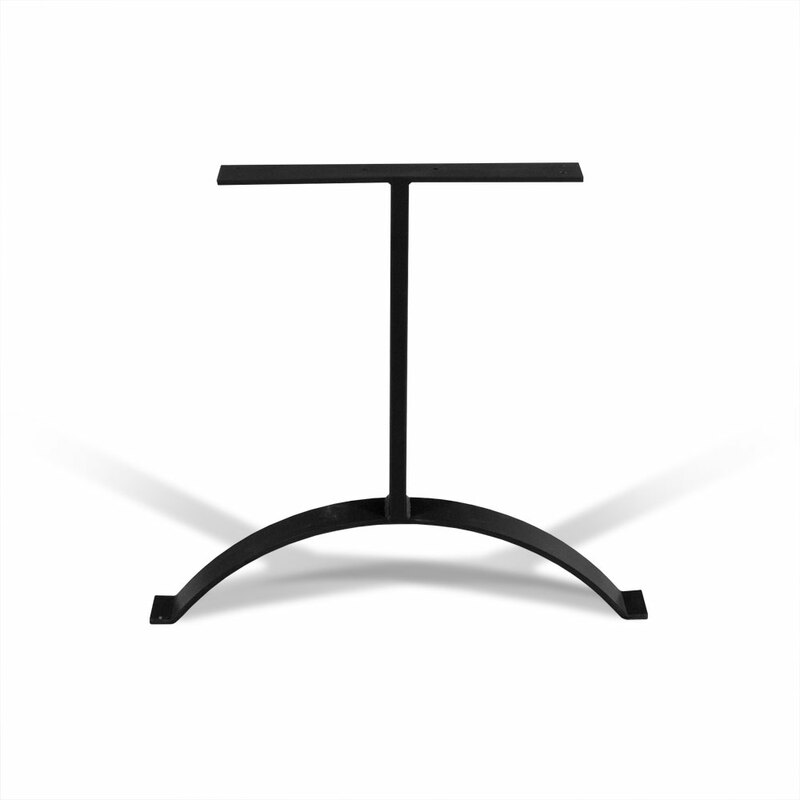 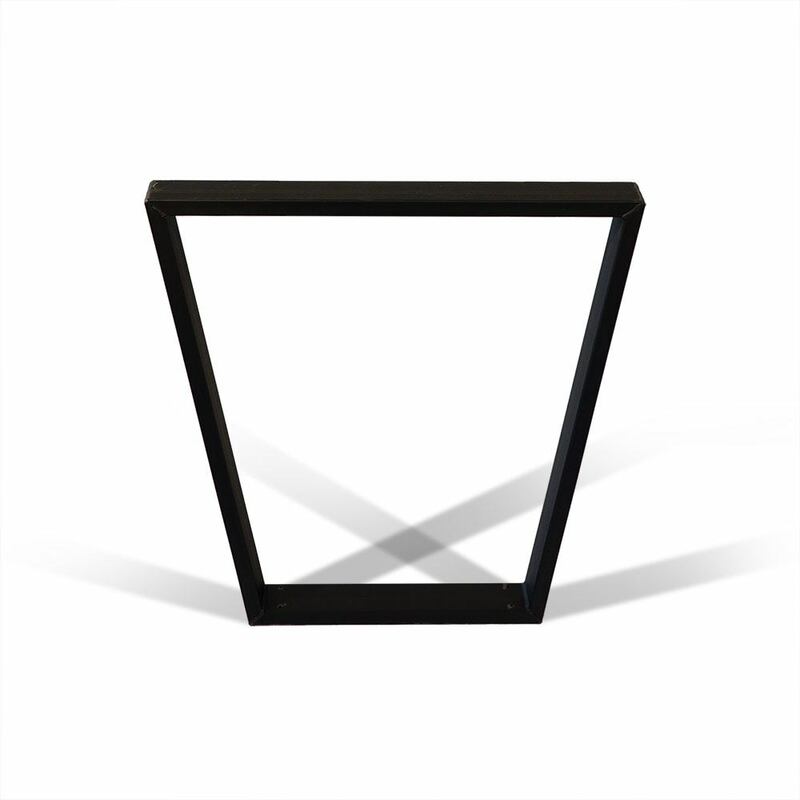 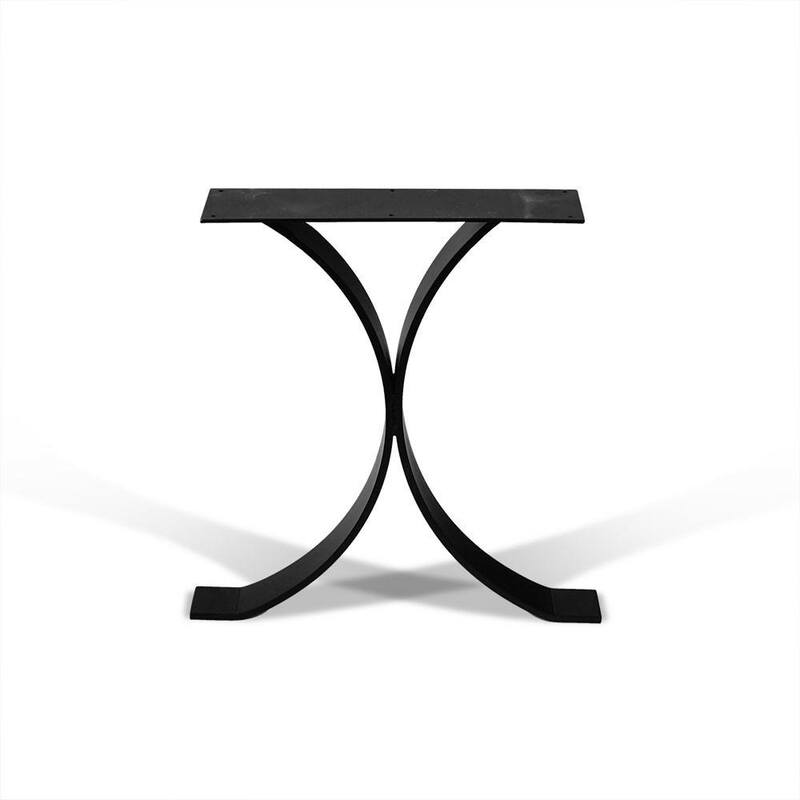 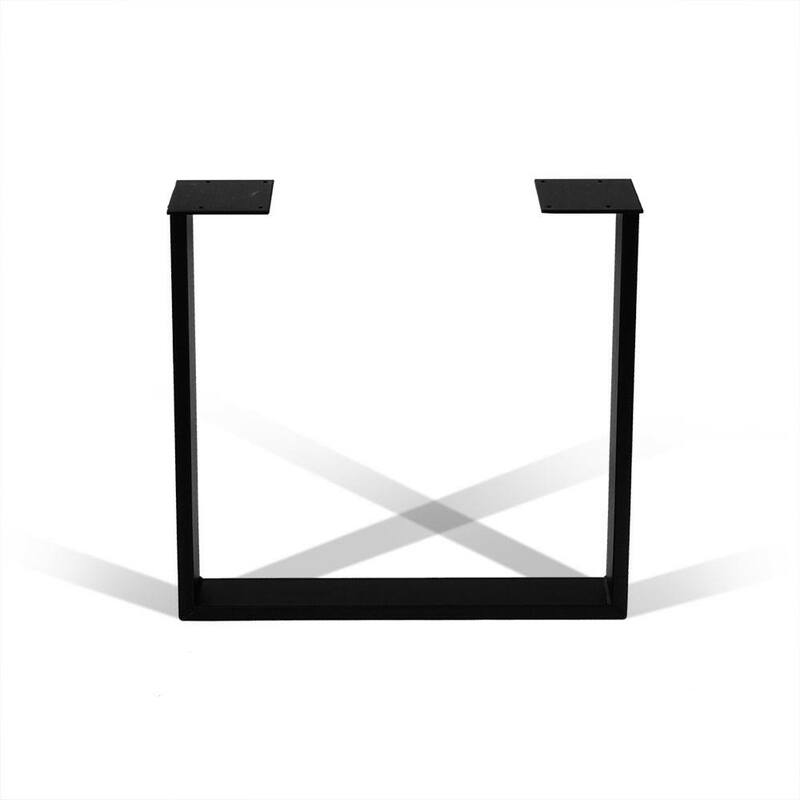 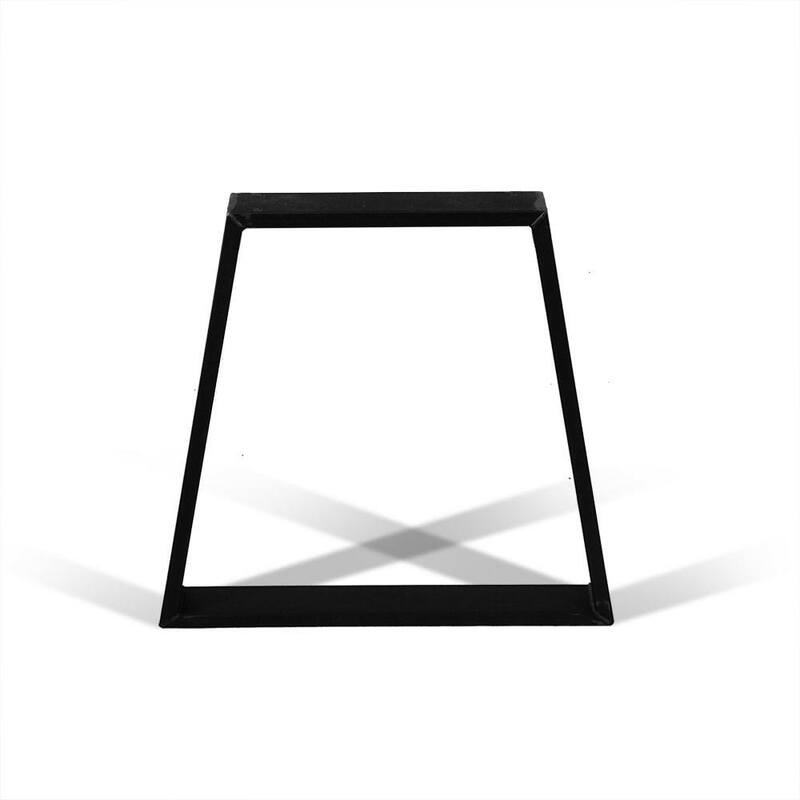 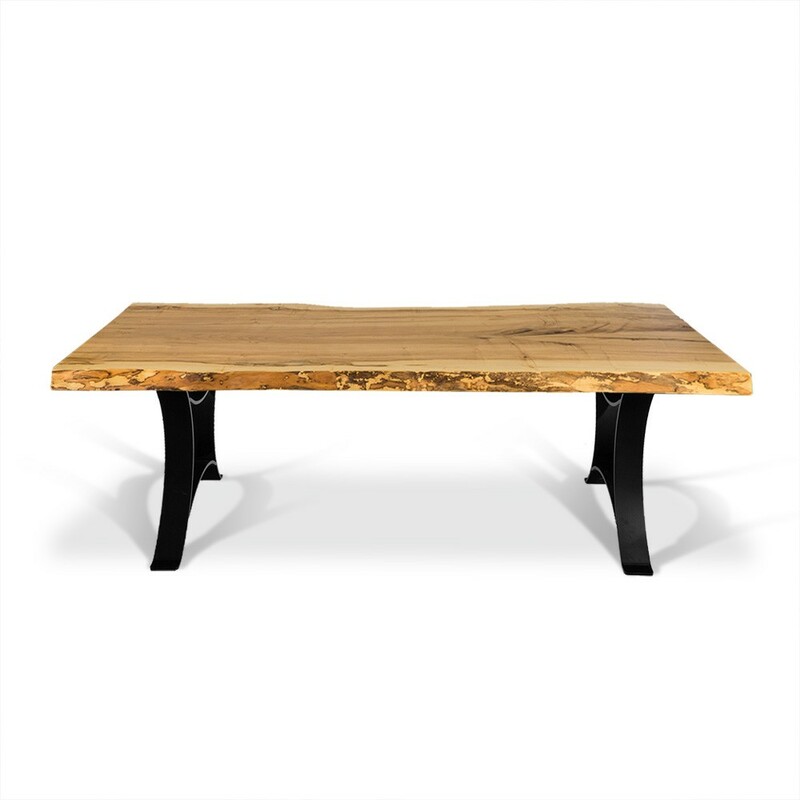 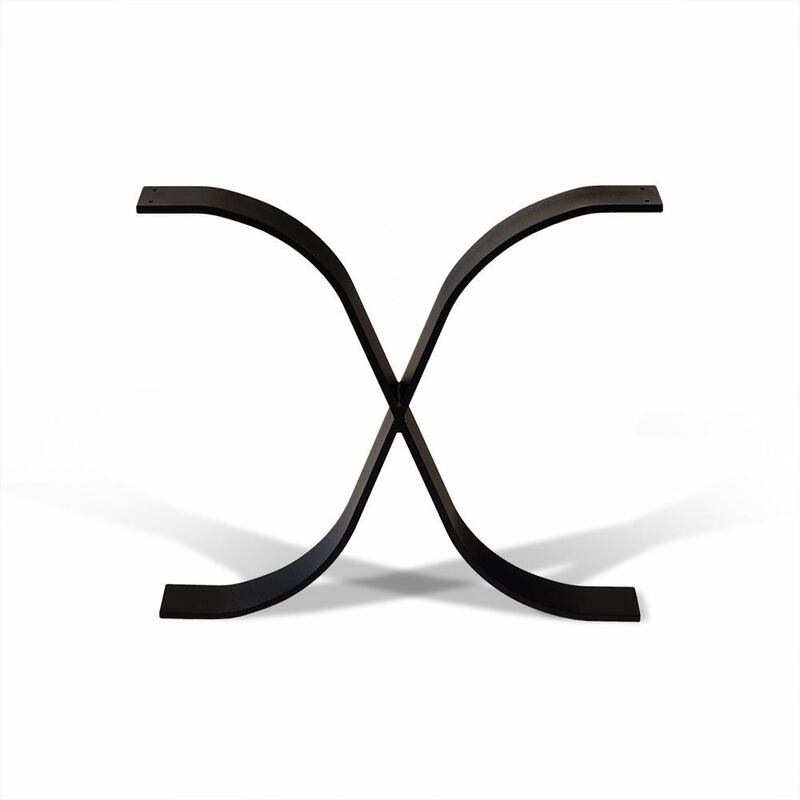 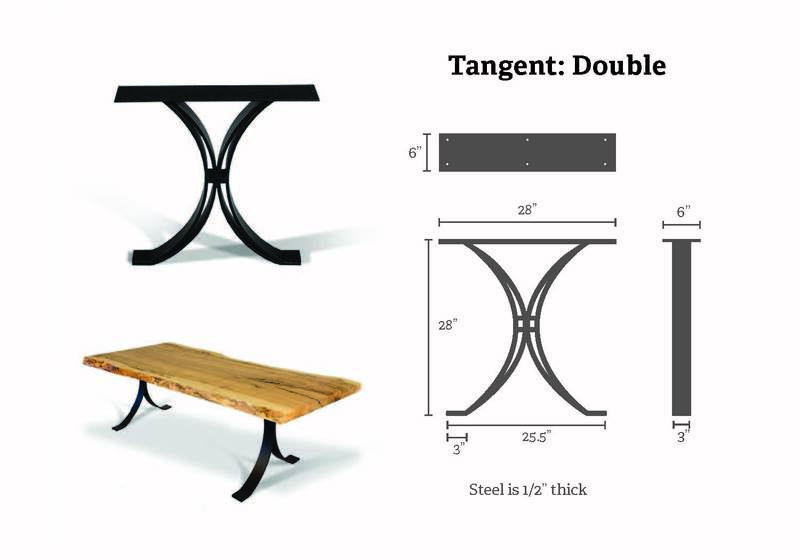 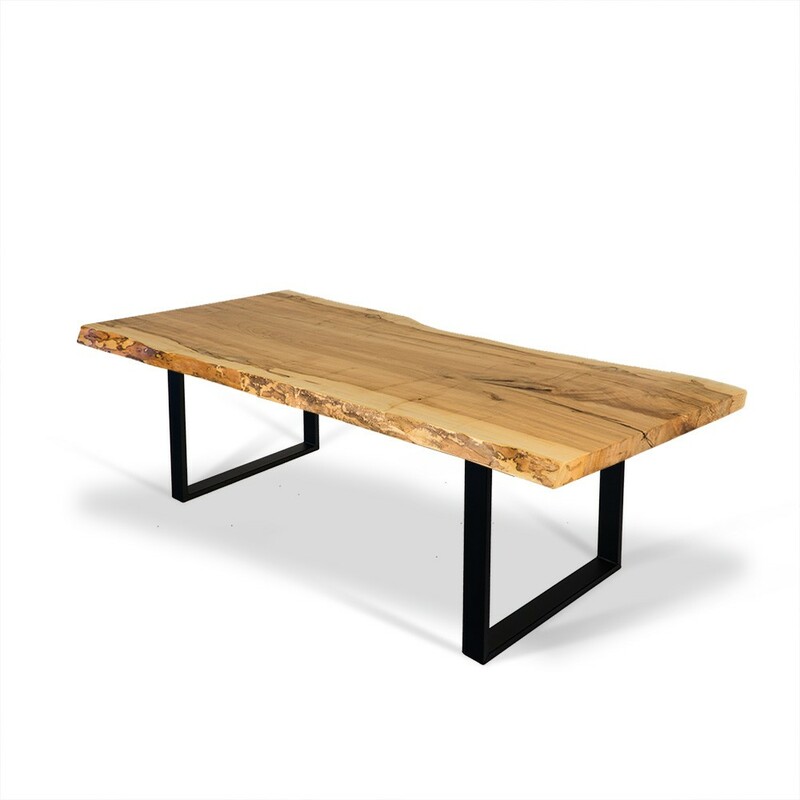 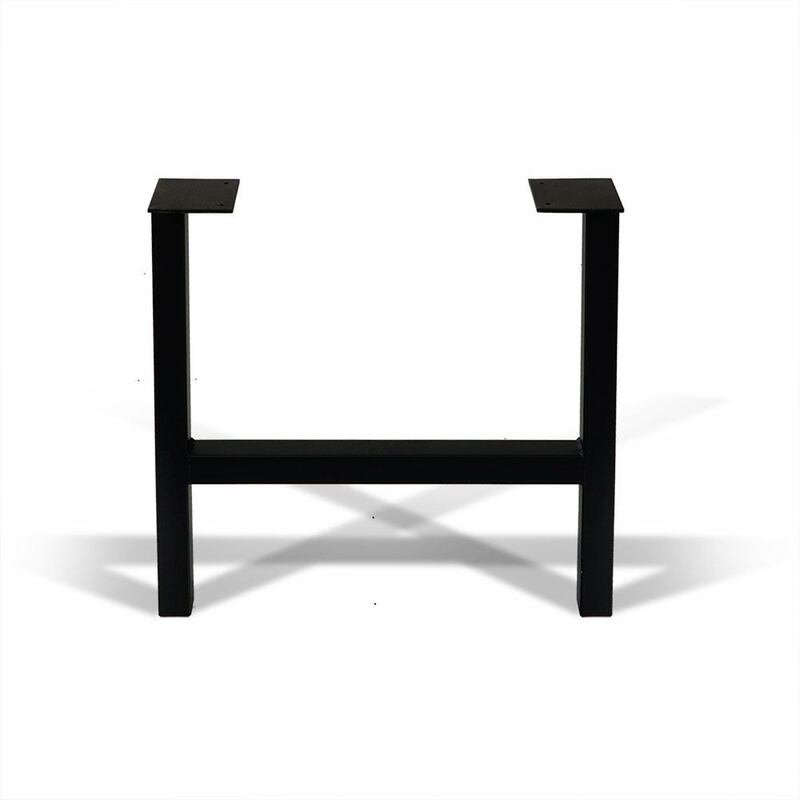 Be sure to view specifications for any table base you are considering. 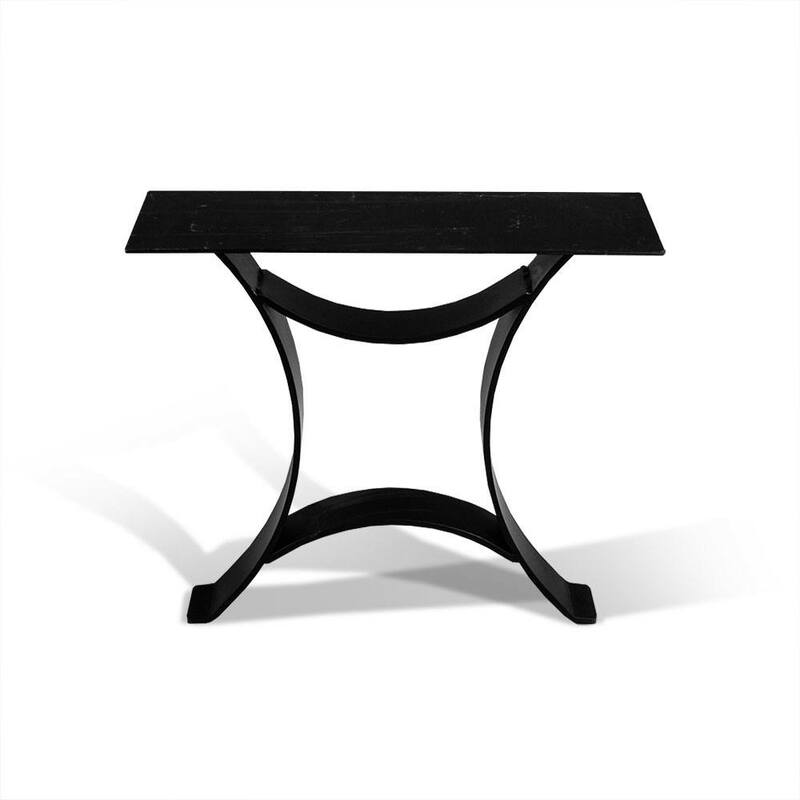 Show off your exquisite wood-top table by mounting it on equally remarkable metal table bases. 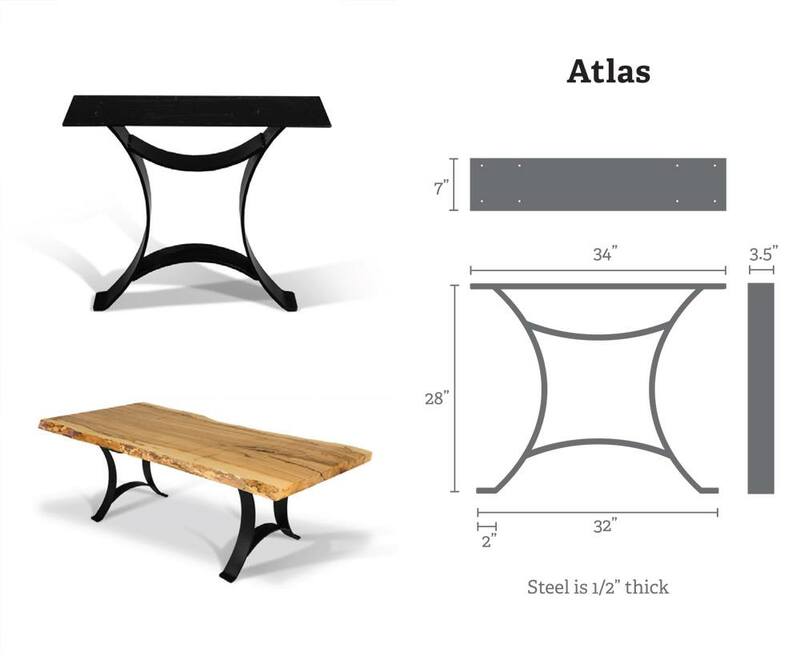 They're made of hand-forged steel, so perfectly capable of supporting substantial tops, whether wood slabs, butcher blocks or plank-style wooden tops. 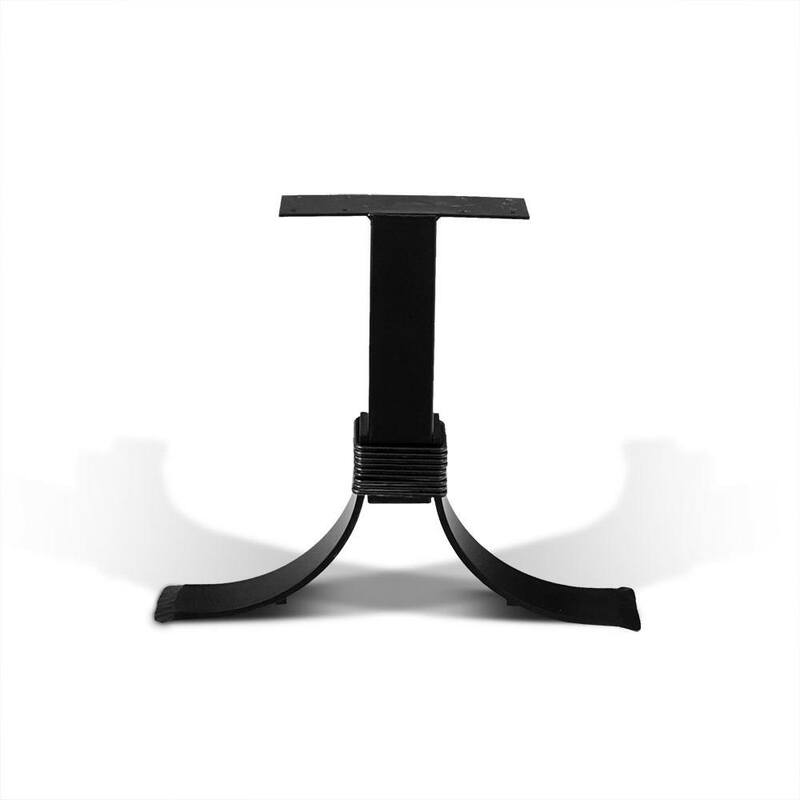 All are 28 inches tall – the perfect height for comfortable dining. Regardless of your tastes or home motif, you're sure to find a metal table base to complement both your wood table top and your home's decor. 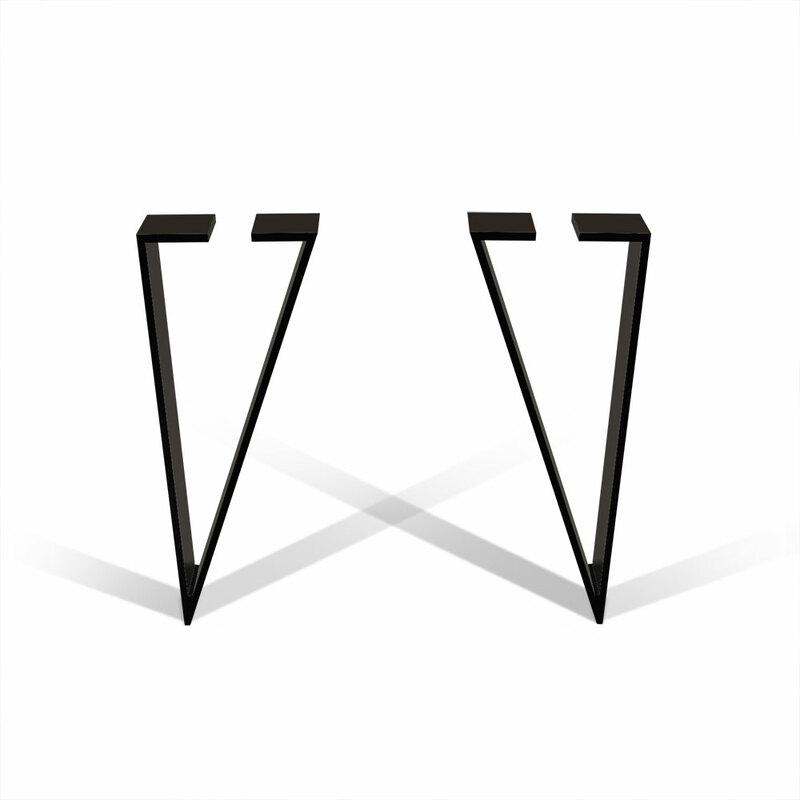 If it's a classic style you're after, you can't beat the curvilinear Atlas, Median or Wishbone designs. 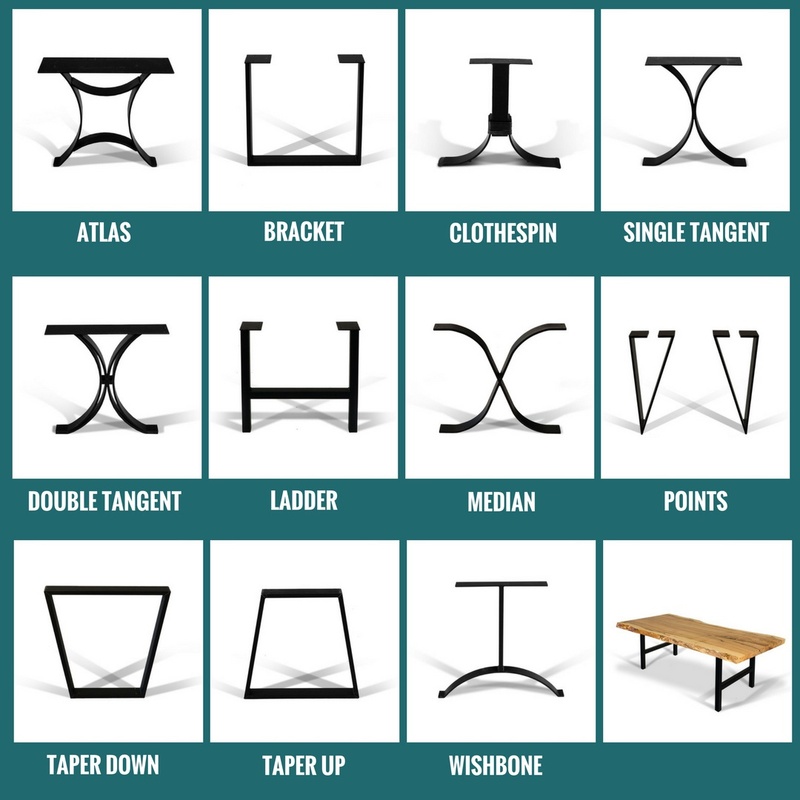 For a traditional look, check out the Single and Double Tangents, the Clothespin and the Ladder. 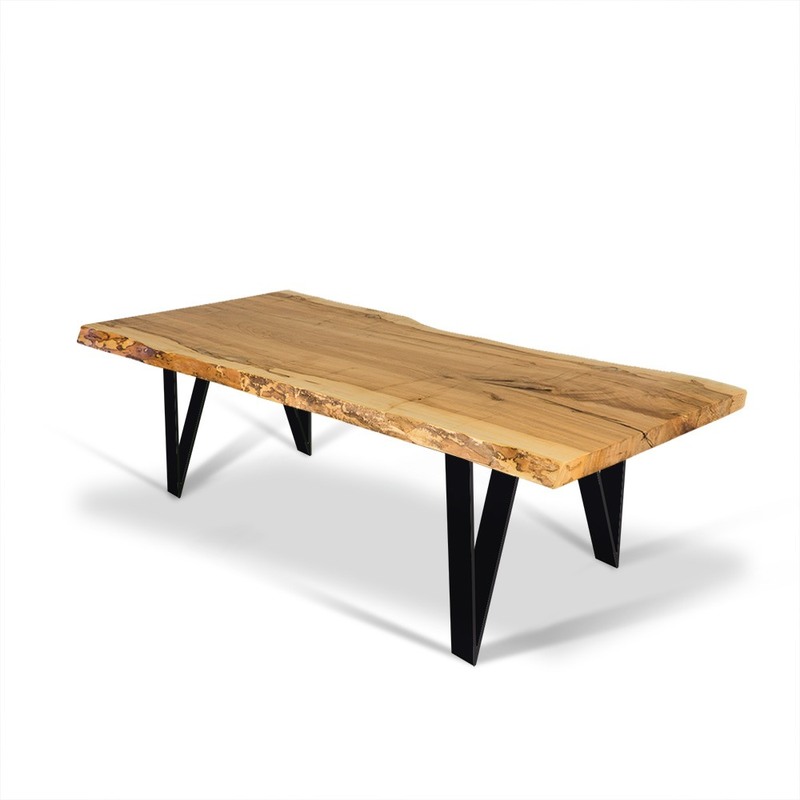 Interested in a more modern look? 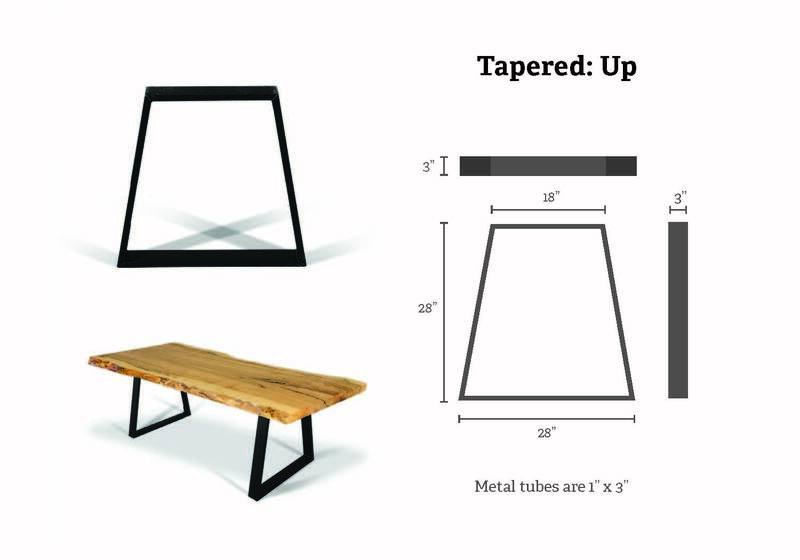 Consider the Tapers (up or down) or the especially striking Points design. 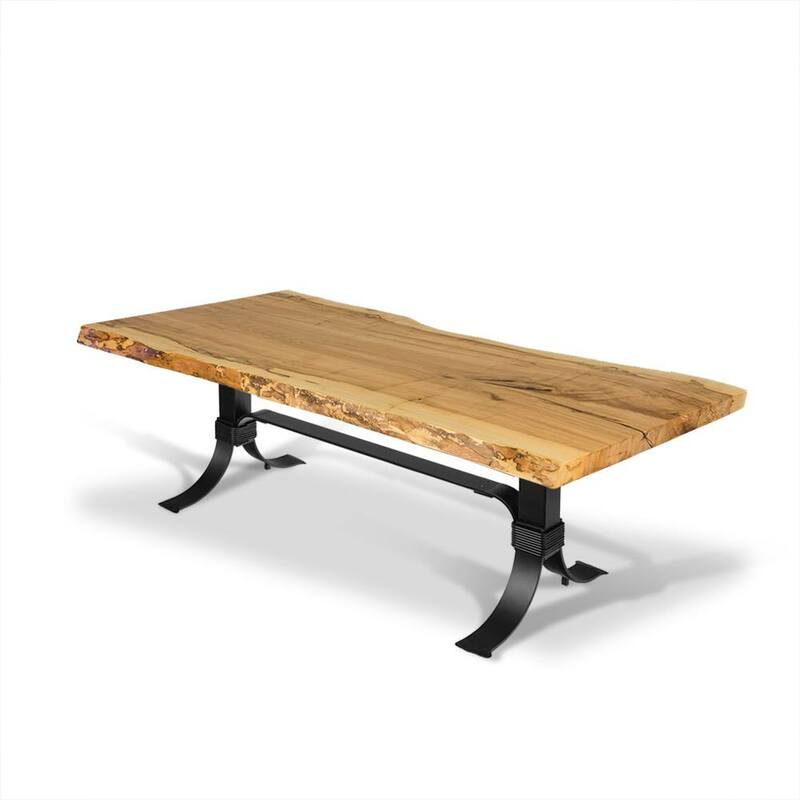 You can click links below to see more pictures and specs. 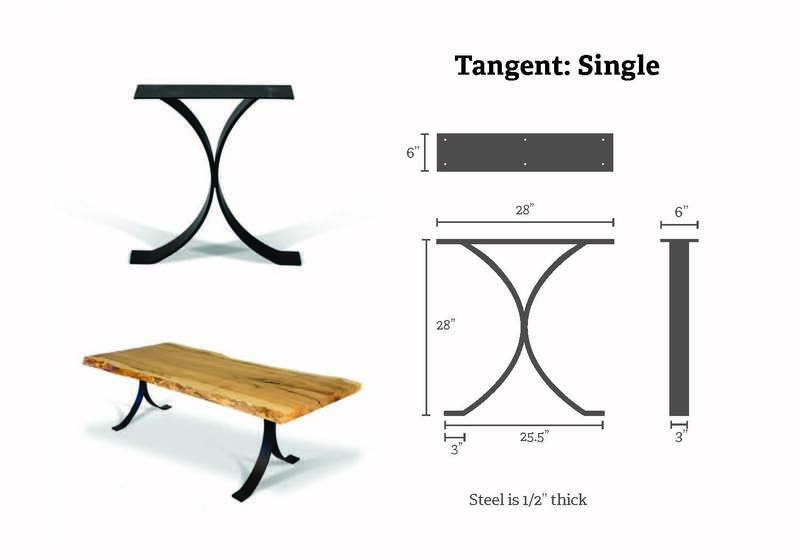 Providing you the utmost design flexibility, Created Hardwood offers three different finishes on each of its gorgeous steel table base designs. 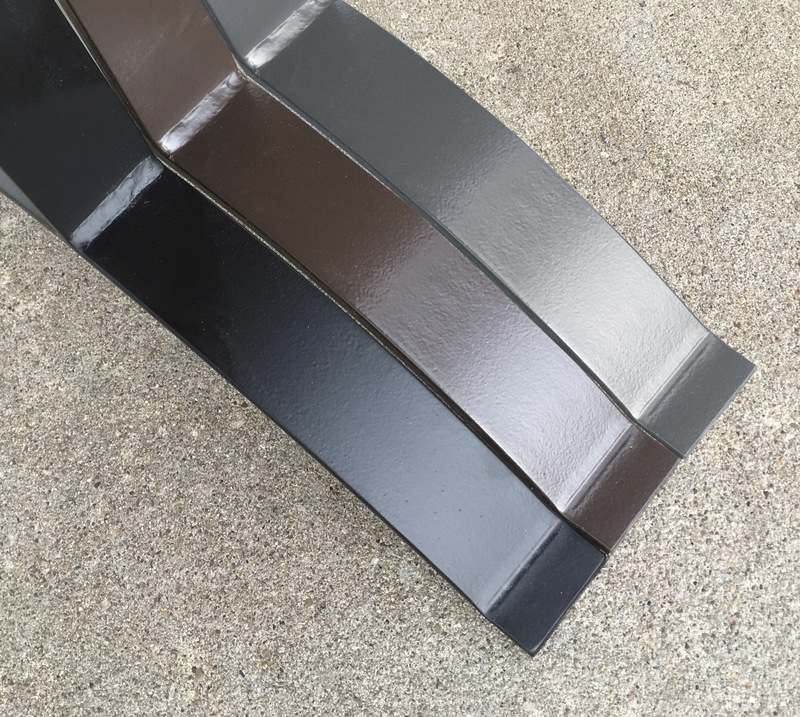 Choices include Black Powder for a dark, bold look; Bronze, which delivers warmth and often complements the hues of the table top; or Natural - a silver-gray sheen. 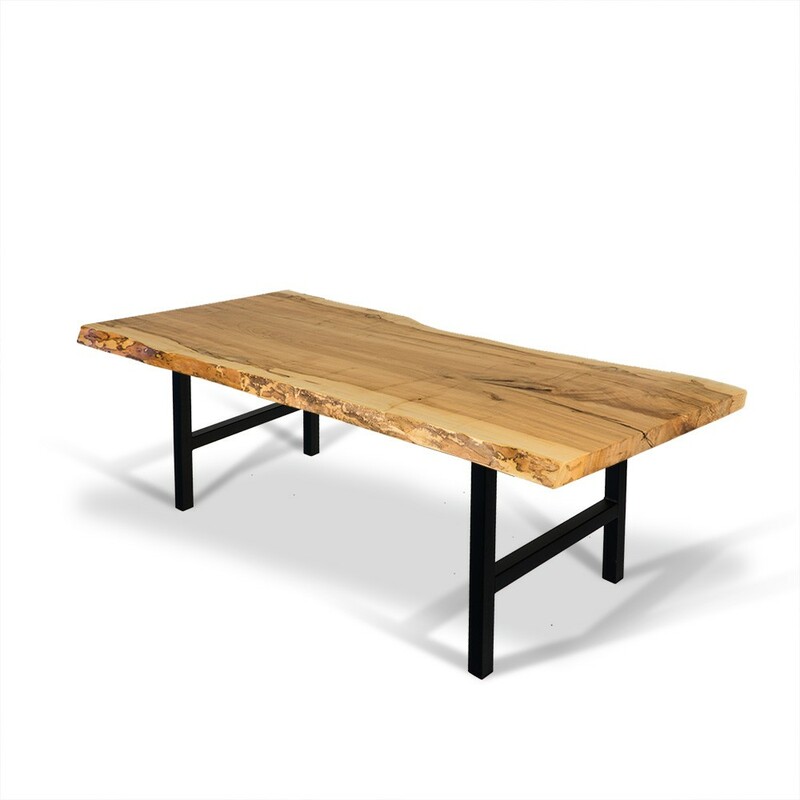 In making your selection, be sure to take into consideration the coloration of the wood slab you have chosen, as well as the tones present in the room where your new addition will sit. 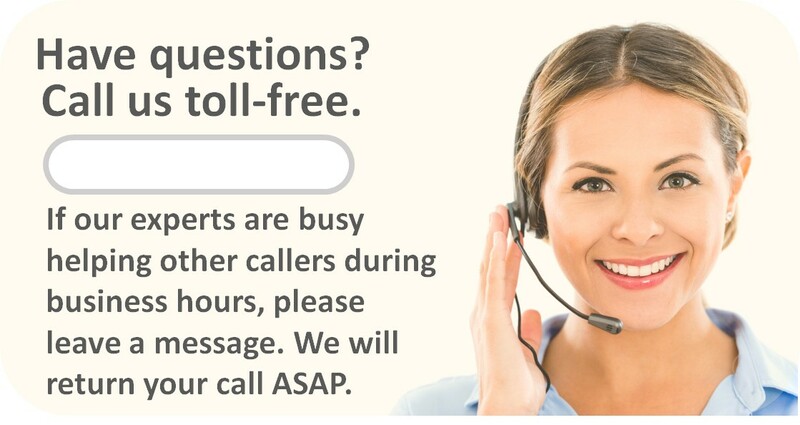 And please note that Bronze and Natural are special-order bases, so you will need to call us please. 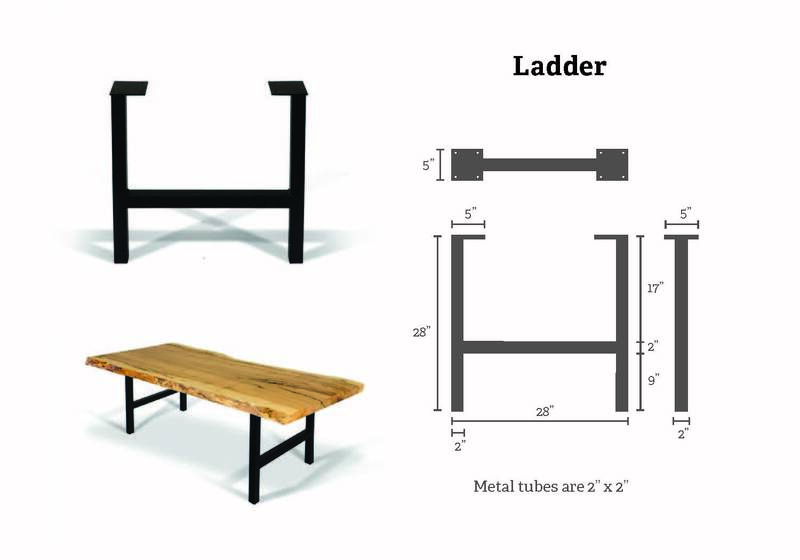 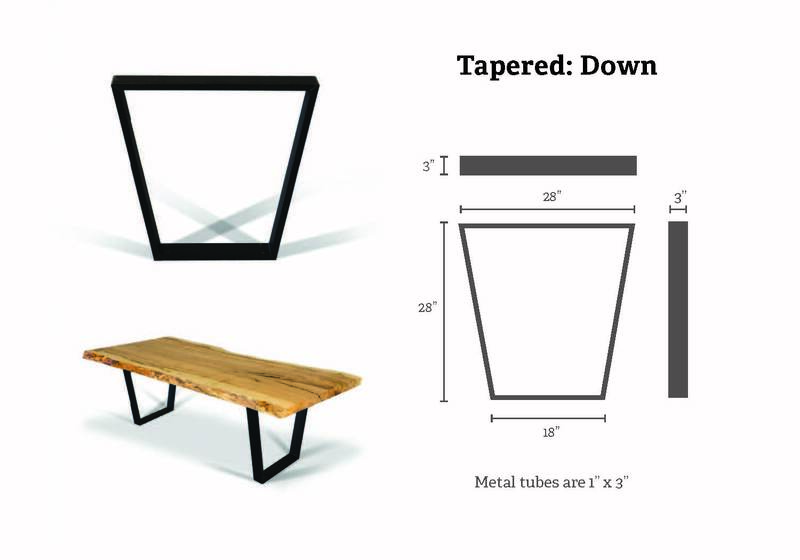 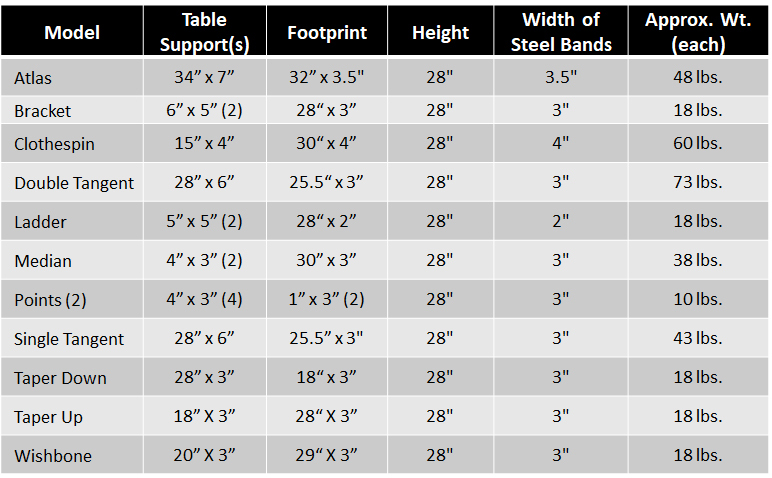 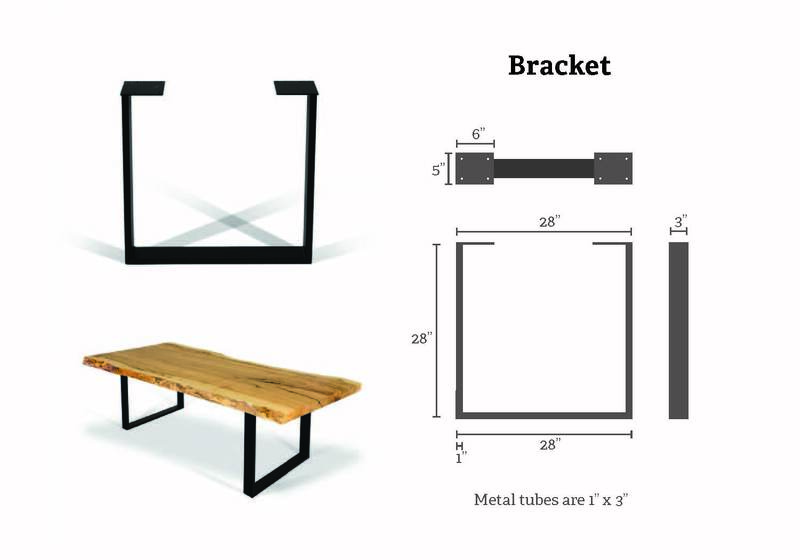 The accompanying table shows specs for all these great-looking metal table bases so you can make easy comparisons. 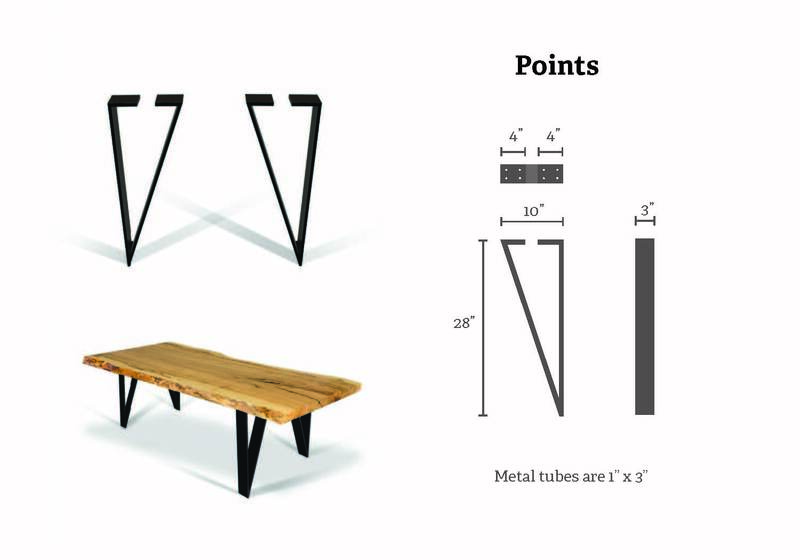 Again, note they're all 28 inches tall, which is considered "dining height" once a table top is installed. 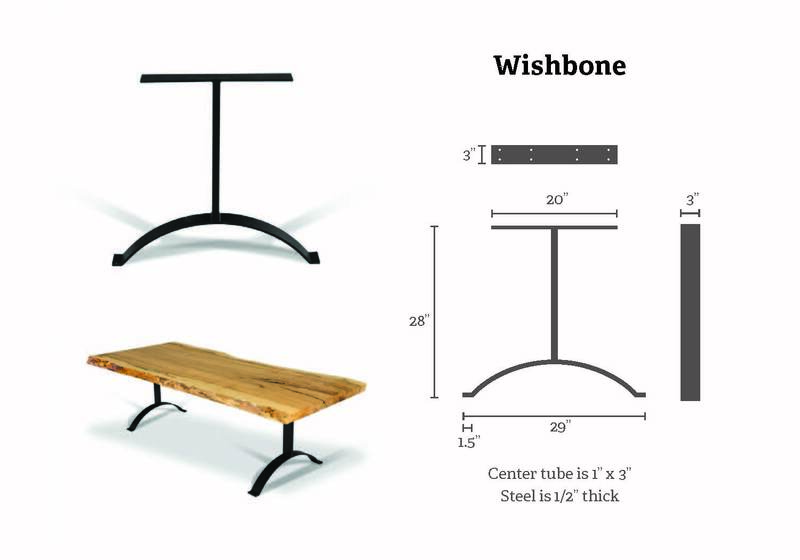 Each table base comes with all the hardware required. 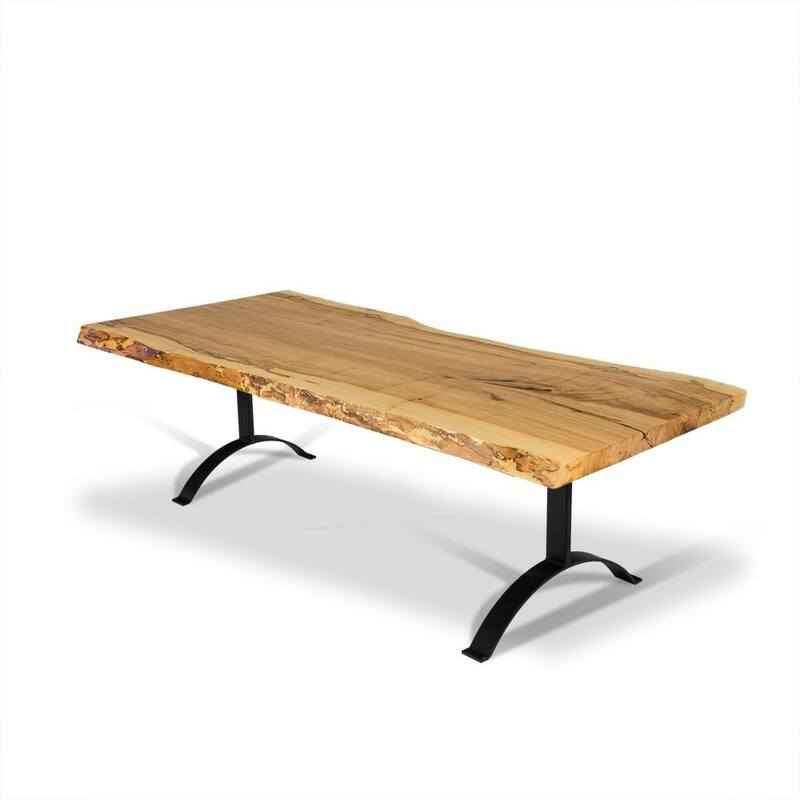 If you purchase table bases in combination with a Wood Slab Table Top, holes will be pre-drilled in the underside of the slab, making it easier for you or a handyman and helper to securely attach the bases to your table top.